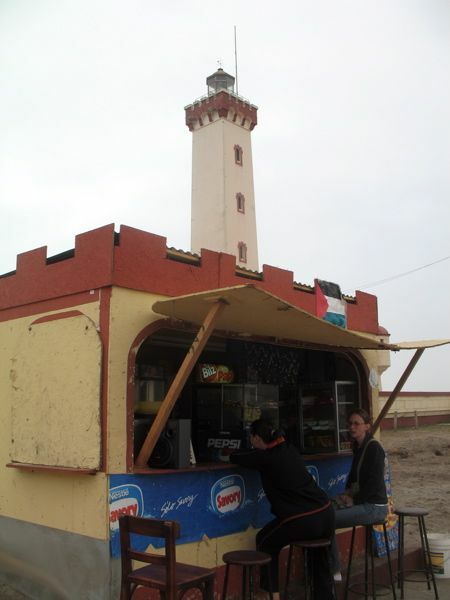 Today, i went with my friends Joanna and Jenny to this little food stand outside of El Faro- the lighthouse. 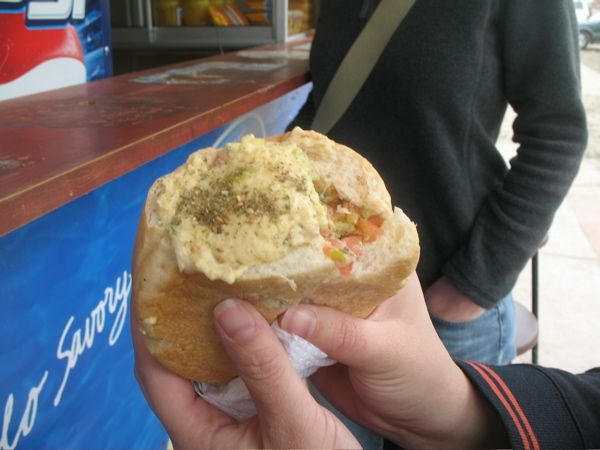 Much to my surprise they were selling falafel, which ended up being TASTY!!! It only cost a little under 3 dollars for the sandwich, and it was wonderful. 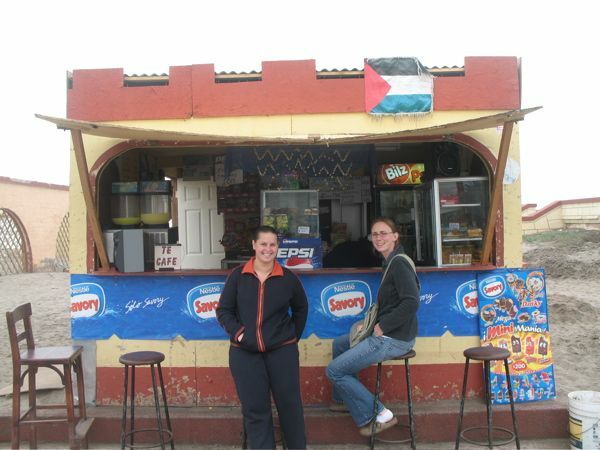 We sat on stools around the booth, ate our sandwiches and watched the waves. I think it’s my new favorite lunch place. Cara and Joel will be coming to visit in a few weeks, and I can’t wait to take them here. Happy days!!! Gee, that looks like something your mother uses in the shower! It looks falawful! « HAPPY 4th of JULY!!!!!! Christmas Music- That's a lie, but I've left it here so long, I don't want to erase it now!! !